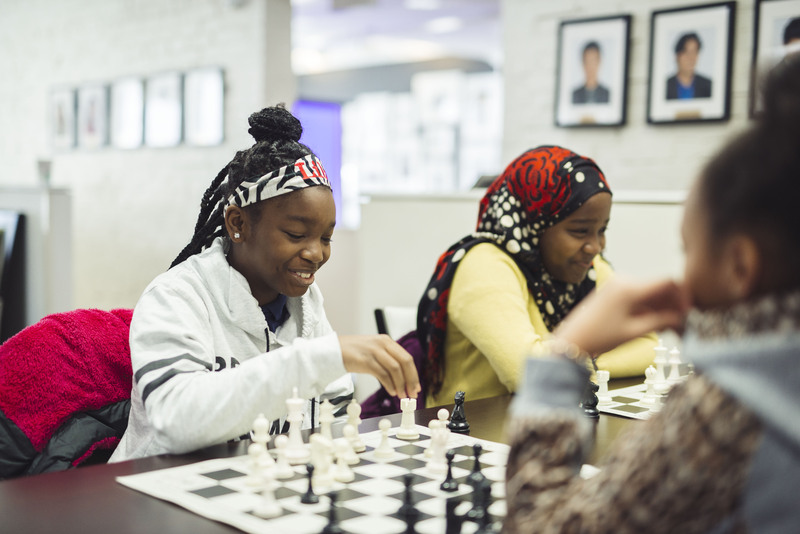 The Saint Louis Chess Club is celebrating its 10th year in St. Louis, and Metro Arts in Transit is joining in on the celebration with a bus painting event on Tuesday, from 10 a.m. to noon. Chess players, children and others will transform a 35-foot MetroBus into a rolling work of art that will travel on routes in St. Louis County and the City of St. Louis over the next year. The bus features two chess-inspired murals. The murals were designed by The Firecracker Press, and include bright colors and visual elements that celebrate the long history of chess and its impact to different cultures, as well as to highlight the game’s bright future here in St. Louis and around the world. The Firecracker Press is a letterpress design studio known for its vibrant, bold and fun designs.